Just what does life look like from a Pikmin's perspective? You're not going to have to wait long to find out — Pikmin 3 will include a camera mode to let you get right down to sub-ankle height and see the world in a whole new way. We still don't have a solid release date for the third Pikmin game, but a new function of the strategy title was shared during today's Wii U Direct presentation. 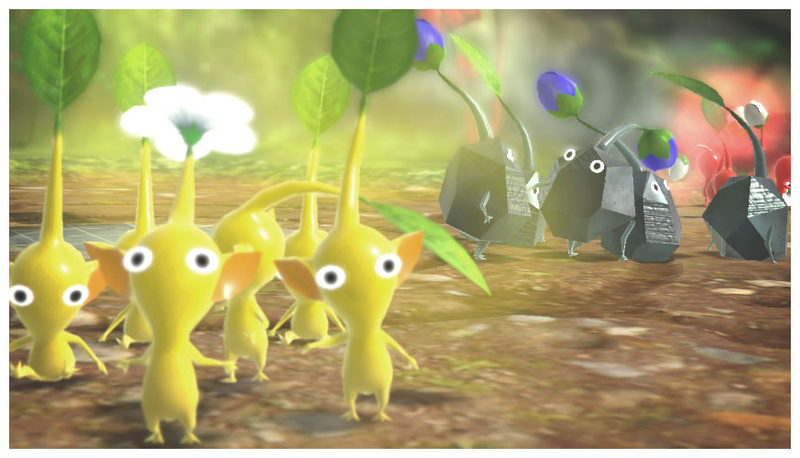 You'll be able to use the Wii U GamePad to take photographs from a Pikmin's eye view. Maybe you'll be a bit more sympathetic to your followers when you see the world from their point of view. Any images can be shared through Miiverse, presumably alongside more traditional screenshots as with other Wii U titles. We expect to see plenty of lovely nature pictures — mixed in, of course, with lots of terrifying Bulborb mug shots. What're you looking forward to snapping in Pikmin 3? I feel like I'm going to have a lot of fun with this feature if I get this. Literally this announcement alone has peaked my interest in this game. 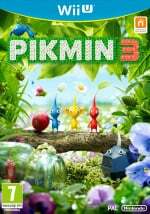 From what I've seen of the previous games and this one, the camera could be a real selling point for Pikmin 3. I know I'm going to enjoy taking pictures of my Min and the other creatures. @MrWalkieTalkie That's a cool idea! Most of my pics will be about Pikmin being eaten. I was excited for this already, but now with the announcement that we can take and post pictures on Miiverse I'm ecstatic. Given the use of the Ganepad as a camera, I wonder if Nintendo's giving thought to a Pokemon Snap sequel? Now we'll know what it feels like to be a Pikmin. 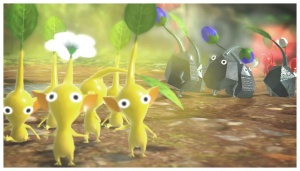 Great, now we'll feel even more guilty when we lose Pikmin now that we can see things from there perspective. This looks like a nice fun feature for kids. It did bother me in the video though (12:04) when he said they were planning on including this. Not b/c this feature will be in the game, but it made it sound like they are still working on the game and it isn't coming out anytime soon. I'll be a happy camper when this gets a release date. it would be sweet to incorporate a challenge system with this. for instance have a list of animals/scenery/plants that you have to track down and or find throuhgout gameplay as an extra sidequest. Wow those underground areas are going to be super creepy in HD Pikmin is such a fun strategy idea. I'm literally going to make a Miiverse documentary about the life and death (mostly death) of Pikmin. Poor Pikmin. I will take a picture inside the Bulbear's mouth... actually I'm too scared of Bulbears already, I may have to consider this a horror game when in underground areas. It's Pikmin Snap U! I really like this idea. I feel like I'll be spending a lot of time just chilling out taking pics of the nature and beauty. Yeah. I'm excited for this game. We just figured out ONE use of Pink Pikmin!!! Rare footage captured of the NintendoLife Chat Room! I doubt I'll be using this a lot myself but the pictures shown above are really breathtaking! This sounds like it'd be fun to mess around with, I always wondered what the world looked like from a Pikmin's point of view. I just hope this means theres no time limit since that would only discourage people from taking the time to explore.